The Grancino family, the greatest makers of the classical Milanese school, remain intriguingly mysterious in many ways. As the capital of the Lombardy region, encompassing nearby Cremona, Milan would have had no difficulty in procuring fine instruments from the Amatis in the sixteenth and early seventeenth centuries, but by the second half of the seventeenth century the city had its own independent violin makers, the Grancino family establishing themselves in their workshop in the Contrada Larga, ‘at the sign of the crown’ as is stated on their labels. The influence of the Amati on them is clear and strong, but there is no evidence that any member of the family actually trained in Cremona. There is however a connection in Bartolomeo Pasta, who was born in Cremona around 1638 and worked with Nicolo Amati in 1660. By 1673 he was working with Giovanni Battista Grancino in Milan. Pasta’s own labelled instruments are rare, but his Amatese influence can be seen in Giovanni Grancino’s early work, which is markedly different from the low arched and golden-yellow varnished instruments of his later period. Pasta’s general style and mannerisms are shared with a fellow Amati pupil, G.B. Rogeri, who moved to Brescia around 1664, where he was eventually joined by Pasta’s sons Domenico and Gaetano. Bartolomeo Pasta remained in Milan, sharing the home of the Testore family for some time, before his death around 1700. The early work of Pasta, Rogeri and Grancino is all very closely linked and in a very pure Amati style. This fine violin in fact carries a label of Rogeri, indicating an understandable misidentification in the past. The design is firmly rooted in Amati geometry, and closely follows the smaller of Nicolo’s two models, significantly narrower than the celebrated ‘Grand Pattern’. The arch is of the full, rounded type, the edges neatly worked and strongly channelled. The soundholes are upright, lightly fluted and with narrow Amatise wings. The scroll is beautifully concentric and cleanly executed. All these elements contrast strongly with the very individual style that Grancino developed after 1690, marked by rather slanted soundholes with broader, more Stradivarian wings, and the very stylised scroll, cut with an extended throat and the eyes given a strikingly conical shape from the front and back views. The volute overall shows a comparative a lack of concentricity and an exaggeratedly deep undercut in these later instruments. Even the varnish changes in colour and texture. The earlier instruments, like the Rogeris and Pastas, have a soft textured, dark brown coat, with the hard-edged separation between ground and coloured layer seen in the wear pattern of the back. In later Grancinos this gave way to a harder, more transparent and homogenous golden yellow. How this change came about is hard to explain with the few facts available. Giovanni’s younger brother Francesco’s name is associated with a very few known instruments, which have their own style marked by outward pointing upper corners. 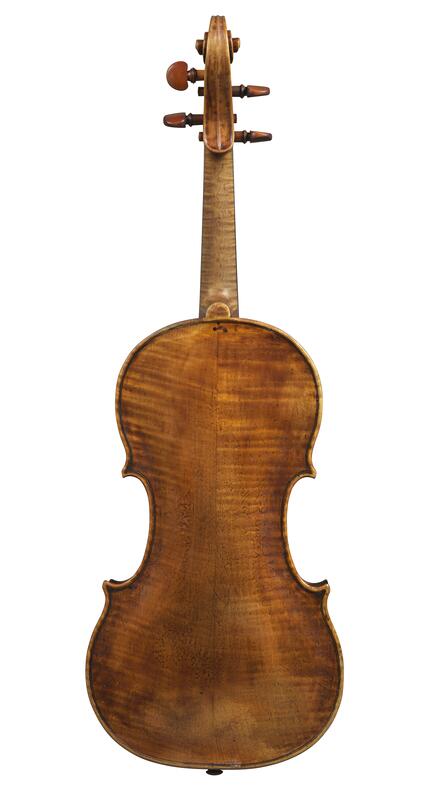 An intriguing run of very fine contralto violas are attributed to both the brothers Francesco and Giovanni, which stylistically are in the Amati and Pasta style, but most importantly represent a very early and consistent production of violas of 16” length, at much the same time as, if not before the great Stradivari violas made after 1690. The step-change in style and aesthetic that occurred in the Grancino shop which occurred around this same date of 1690 is intriguing. Giovanni’s son Giovanni Battista II was born in 1673, and may well have had some influence in the workshop by the age of 17, but in 1708 he was forced to leave Milan, having been found guilty of murdering his fellow luthier, Antonio Lavazza. He did however somehow manage to return to the workshop before his own death, sometime after 1723. The elder Giovanni died in 1709, aged 73, but his influence carried on through both the Lavazza and Testore families. The first period of the Grancino workshop may be overshadowed by the more easily identified innovative designs of the later period, which certainly defines the wider Milanese school, but the very classical and beautifully made instruments of the earlier era, like this fine example, show how sophisticated Giovanni Battista Grancino was as a maker, and the obvious benefits of the close proximity to the masters of Cremona. 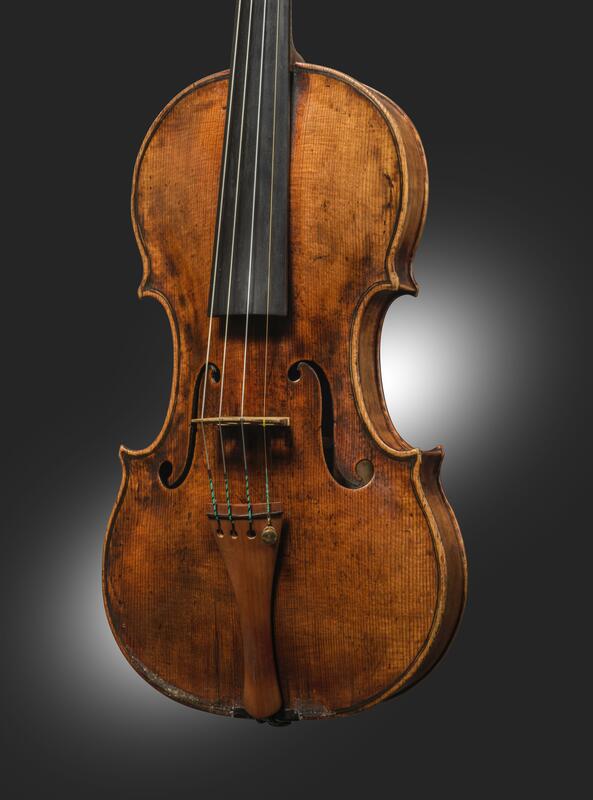 To view this violin in our Private Sales pages, please click here.